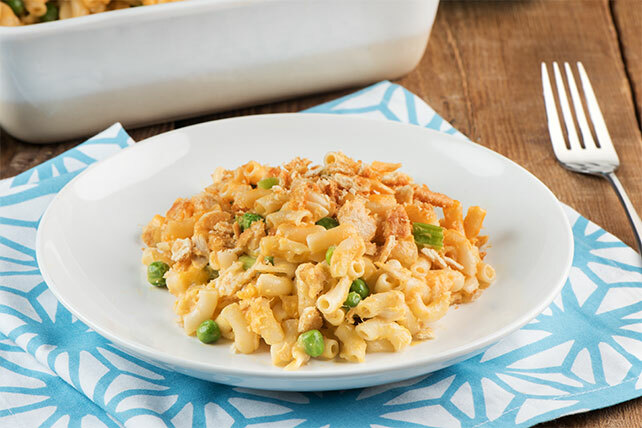 Give tuna mac and cheese casserole deluxe flavor with a crushed cracker-butter topping. Bake this Deluxe Tuna Mac and Cheese Casserole until delicious. Preheat oven to 375°F. Prepare Dinner as directed on package. Add vegetables, tuna, milk and cheddar cheese; mix well. Spoon into greased 1-1/2-quart casserole dish. Toss cracker crumbs with butter; sprinkle over casserole.